Healthcare workers who want to break the iPhone mold and purchase an Android now have access to plenty of apps that can help pass exams, work efficiently and to use for reference. In fact, entire libraries filled with medical, nursing and health care apps exist today. The following 40 Android apps prove can validate that assertion, and each app can lead to even more discoveries. AHRQ ePSS: The Electronic Preventive Services Selector (ePSS) is an application designed and developed by the U.S. Department of Health & Human Services (HHS), Agency for Healthcare Research and Quality (AHRQ). The ePSS application was developed to assist primary care clinicians identify the screening, counseling, and preventive medication services that are appropriate for their patients. Auto Accident Crash Kit: Auto Accident Crash Kit is an easy to use application that will help you accurately record all the information at the scene of a car crash for medical and legal reasons. Dosage Calc: Dosage Calc is an initiative to assist in the avoidance of drug errors. Emergency Medical Spanish Guide: The Emergency Medical Spanish Guide Lite (EMSG) is a tool designed for non-Spanish speaking health care professionals to quickly ascertain vital medical information. Health Calculators: A set of health calculators for doctors, nurses, technicians, and students, including BMR, blood-alcohol level, BMI, pregnancy calculator and more. Injectable Medicines: Injecting medicines is a high-risk area of clinical practice and one that information staff receive many requests for help with, especially from nurses. Instant Heart Rate: This app turns your Android into a heart rate monitor. Instant Heart Rate is the most accurate Heart Rate Monitor app for any smartphone and it does not need any external hardware. 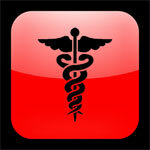 MedCalc 3000 Complete: MedCalc 3000 is the most popular and comprehensive medical calculator system on the Web. Mini Nurse: This app contains dosage calculations, IV calculations, medical terms, and more. 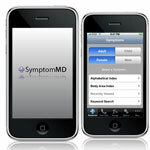 Pediatric SymptomMD: Turn parents on to this app! Parents can make smart decisions on what level of care (if any) is needed and how to provide speedy symptom relief for minor illnesses or injuries that parents can manage on your own. Pocket EKG — Basic: Learn to interpret the 25 most encountered cardiac dysrhythmias. Actual tracings ensure quick learning (25 included). Interactive quiz included. RxCase Minder: Tell your patients about this app, which is a simple yet useful way to remind them when to take their medications and to refill their prescriptions. RxShortages: RxShortages is designed to help health care providers access information about drug shortages quickly and easily. Vocera Connect Cellular: The Vocera software client keeps caregivers and support staff wirelessly connected to each other, streamlining work flow and maximizing patient satisfaction by reducing the time it takes to respond to patient needs. 420+ Medical Slang Acronyms: Resourceful and humorous, this app provides insight into slang used by doctors, nurses, paramedics and other hospital or medical staff. 2011 EMRA Antibiotic Guide: The EMRA ABx Guide is a necessity for any health care professional who rotates in the emergency department. I.V. Drug Handbook: Featuring a strong focus on patient safety this handbook delivers concise, practical guidance to help nurses carry out one of the most difficult tasks that they may face. iResQ: iResQ is the ideal tool for any critical care provider or flight paramedic or nurse. Medical Bible: Black’s Medical: Black’s Medical Dictionary has been the best-selling medical dictionary for over 100 years. Invaluable as a reference for all who need a clear explanation of medical terms: nurses, doctors, and all health care professionals. Medical Terminology and Abbrev: A handy reference program for medical terms, abbreviations and prefix/suffixes. 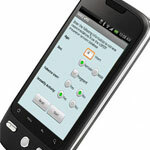 A top 10 Medical app featured in Android Market’s “Top Paid” Medical Category. Nurse’s Pocket Drug Guide 6th Edition: Specifically geared towards patient care, this instant-access guide provides registered nurses with essential, up-to-the-minute information on 1,000 commonly used medications. Nursing Pharmacology: Nursing Pharmacology is a fully-featured flash card app that includes a main deck, favorites deck, shuffle ability and choice of primary side. Oncology Congress: Oncology Congress provides US-based practicing oncologists,nurses and pharmacists with the clinical data, best practices and technology innovations that enhance clinical practice and patient care. RN Pocket Guide: This is the resource that recent graduates as well as lifelong nurses depend on to keep a comprehensive library of information at their fingertips. Vet Nurse Quick Reference: A quick reference guide for veterinary nurse professionals. Contains a quick reference of normal parameters for small and common household pets. Wound Follow Up Nurse: The nurse can take pictures of her patient’s wounds and send them in to a skilled Wound Care Nurse. Anesthesia VOL 1: Q&A: Geared toward physicians, this app contains medical information that could help any healthcare worker. CCRN Exam Prep (Critical Care): Upward Mobility’s CCRN app for Android is a valuable tool to help you properly prepare for this important certification exam administered by the AACN. Certified Emergency Nurse: Prepare for the Certified Emergency Nurse (CEN) Test by multiple choice quiz, flashcards, & dictionary. Human Atlas: This is the award-winning library of animations, illustrations and 3D rotating body systems all in one stunning app for Android. Kaplan NCLEX-RN Medications: Tap into more than 300 medication flashcards including their common names, phonetic pronunciation, drug category, use/treatment, side effects, and patient considerations are included in this app. Med Surg 2 Nursing in a Flash: Nursing in a Flash mobile review applications are designed to provide nursing students with an easy, efficient tool to learn vital nursing content on the go. NCLEX-PN Exam Prep by UM: This module contains a targeted curriculum of 500 useful questions dealing with the successful knowledge required for entry-level Licensed Practical Nurses. Beiks: Look under the “Specialty Top 7” to find a pocket guide to medications, a pocket medical encyclopedia and more medical applications. Medical Wizards: Founded by a practicing ER physician, this company strives to make its portable software as user friendly and flexible as possible. Mobile Apps for Medical Professionals: Utilizing only the most trusted, valuable resources and tools, Skyscape delivers customizable content by specialty to medical professionals directly at point of care. Nursing Info: Tap into articles from news and research journals. Updates hourly with new headlines as available. 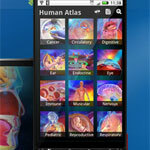 This is just one of many Android apps offered by MedProApps.com. QxMD: This service provides apps that are authoritative, at the point of care and — with over 1,000,000 downloads to date — a trusted source. Unbound Medicine: Unbound Medicine is changing the way healthcare professionals answer clinical questions by designing content and delivering it to mobile devices and the Web. Webpatient.net Android Market Applications: This site carries a wide variety of health care applications for health care workers and patients. This entry was posted in Education, Health Technology and tagged Android apps, Android health care apps, healthcare apps, human atlas app, medical apps, nurse exams apps, RN apps. Bookmark the permalink.